For pest management in my boxes, under the cover I have placed a baited plastic CD box for Small Hive Beetles. I have also placed a plastic tray filled with vegetable oil under the screened bottom boards. I clean this about every 2 weeks as it gets filled with capping and other debris. A thorough inspection at this time also gives me an idea as to any problems inside the hives. Because the oil is an added expense, this year I'm going back to Diatamacious(sp) Earth and add a small amount of Boric acid to it. At the front of my hives I have planted Thyme to help ward off beetles and mites. This seems to have worked as my beetle counts last year were very low. 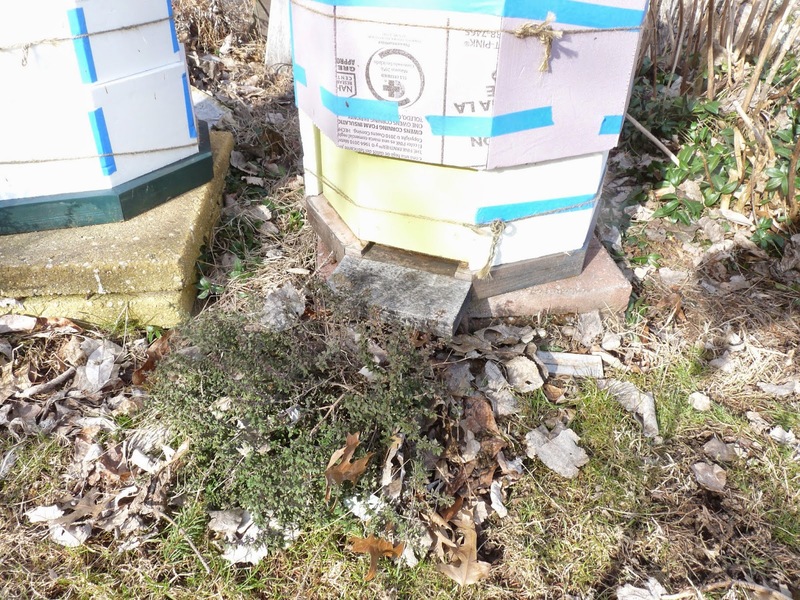 So far, by not stressing the bees by opening the hives, I had little or no mite problems, the bottom traps were clear. I believe using the Carnolean queens aided in reducing the mite problems because they are a smaller bee and seem to be more hygienic. Both the hives with the Carni queens came out of the winter very strong, the transitional hive had Italian stock and is somewhat weaker. I expect the first two to swarm and have made preparations for it. As a natural bee keeper, I am going to start propagating by swam rather than splitting the hives again, even though it did work well last year.